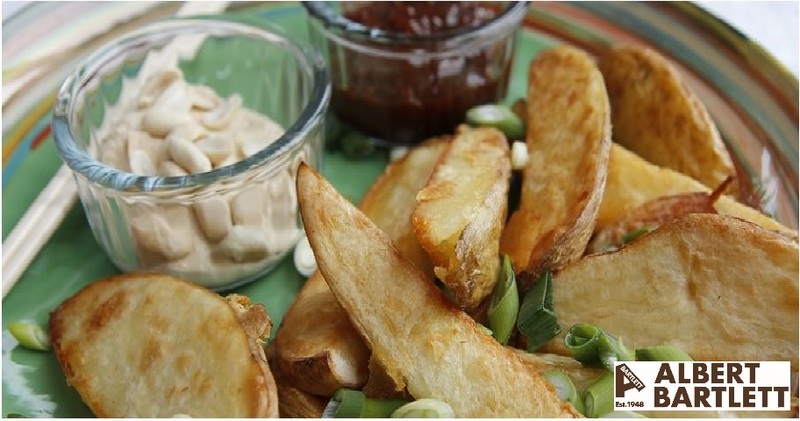 A great addition to the Rooster Wedges recipe to give your spuds a thai twist. Albert Bartlett recommends this dish is best made with Creamy or Fluffy potatoes. Preheat oven to 220°C / Fan 200°C / Gas Mark 7 and place tray in middle shelf. Take three large potatoes. For wedges leave the skin on and cut into wedge shapes. Pat the shapes dry, add to mixing bowl with two tablespoons of oil and a generous pinch of salt and pepper. Mix thoroughly. Separate the potatoes into a single, even layer on hot tray and place back into oven. Bake, turning occasionally, for 40 – 45 minutes or until golden. Sprinkle with a 1/2 teaspoon chinese five spice mix, then serve with chopped spring onions on top with hoisin sauce and peanut sauce on the side as a dip. This delicious vegetarian dish is a great one to have on standby in the freezer and is a good vegetarian option for the main Christmas meal. Serve with garlic bread and crispy green salad. Every day in the UK, 20 million whole slices of bread are thrown away - mostly because they are not used in time.